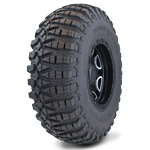 Introducing the industry's first UTV tire with an asymmetrical non-directional tread pattern, the GBC Kanati Terra Master. The specially designed tread pattern gives you the benefits of two tires in one. With two distinctive sides to choose from, you can customize your tire set up to your vehicle application and your driving style. 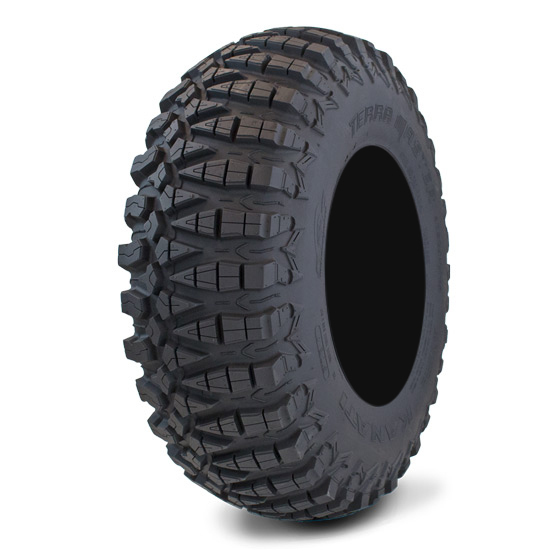 The Terra Master's carcass profile is optimized for forward traction and side bit, all while having light weight steel belt tire construction.